When I left you yesterday I had been for a horse and carriage ride in Central Park, followed by shopping and champagne at Saks Fifth Avenue. So how did I follow that up? 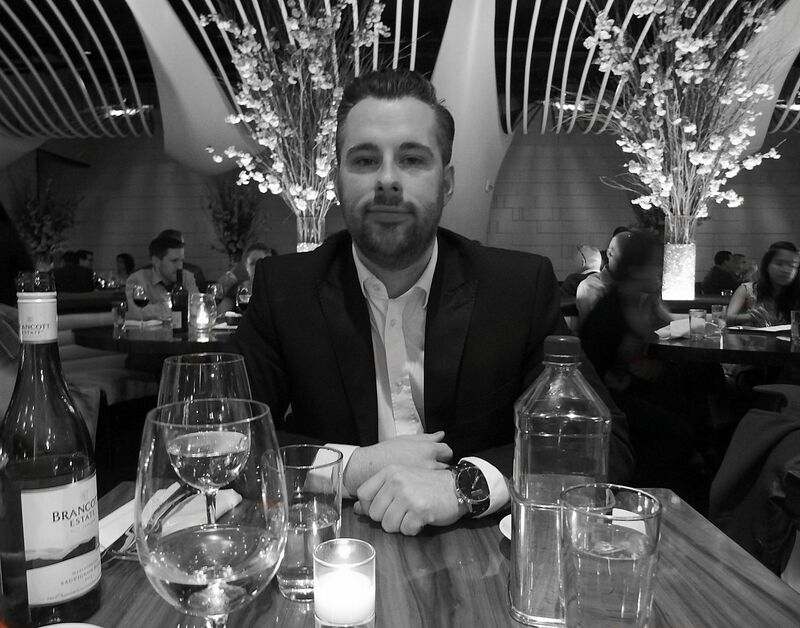 Well we had booked dinner at STK Midtown before we left the UK, I have been meaning to try STK in London for some time and not quite got round to it, so when I discovered they had a branch in NYC I definitely wanted to try it out. STK as you may have guessed is a lot of steak, my favourite of course. 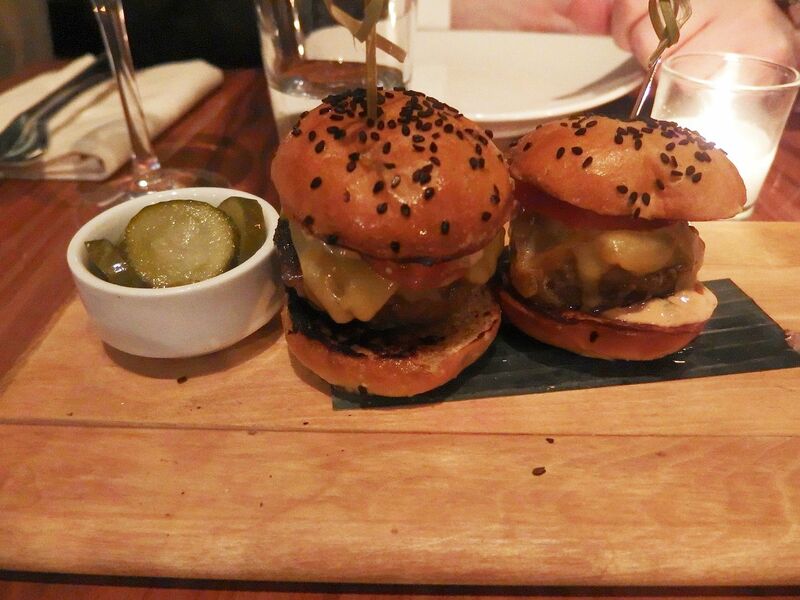 I had heard such good reviews of STK and especially their mini Wagyu burgers. 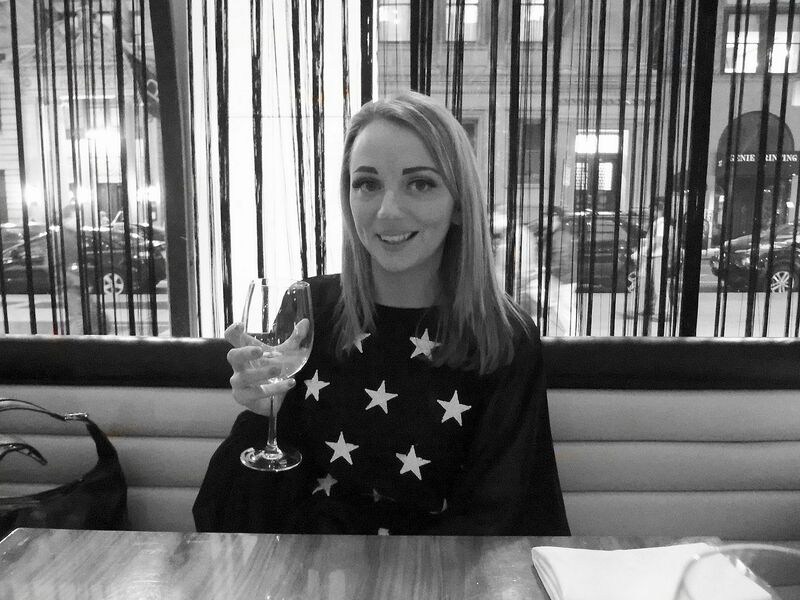 I got ready at the hotel and put on my Wildfox lace and sequin star dress, I picked this up in the sample sale last year and have never worn it so for my birthday it was the perfect occasion, I just love the floaty sleeves. I teamed it with ASOS metallic heels and silver clutch. We took a taxi down to the restaurant, with our driver dropping us off two streets away, New York taxi drivers are lets say, one of a kind. When we arrived the staff were very welcoming and I was able to check in my coat and take our seats. The restaurant is a great size nice and big with lots of room and tables that don’t feel like your sitting next to a stranger. The music inside STK was a mix of Michael Jackson and Madonna with chart hits, so if you are expecting a quiet romantic meal then this isn’t the place for you. Our waiter introduced himself and we got cracking on the menu and the wine! For starters you have a selection of treats including Tuna Tartare, Foie Gras French Toast, Kobe Beef Carpaccio and what I knew I was going to order, the lil ‘BRGRs where were Wagyu Beef with a special sauce in a sesame bun. We ordered these two share and out came two burgers, perfect. They were so juicy, greasy and tasty, a winner! 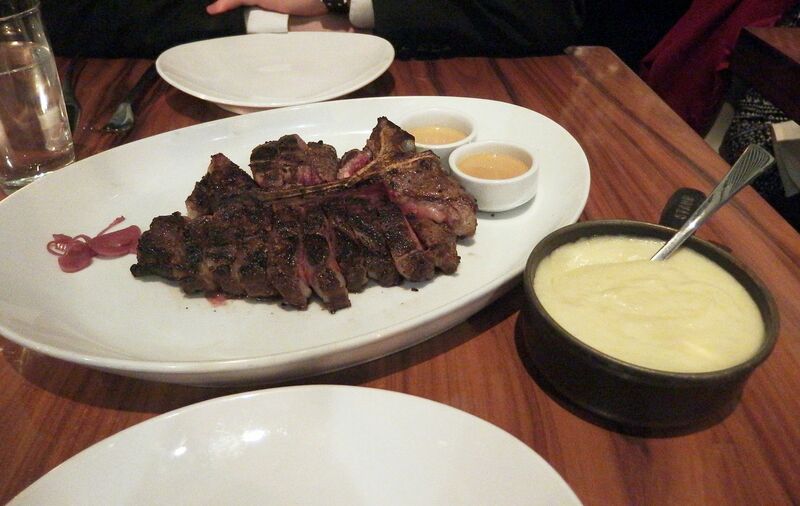 For main we decided on the 24oz Porterhouse as it’s such a good sharing steak, we accompanied it with au poivre sauce which is a bit like peppercorn and also a side serving creamy yukon potatoes, like a really creamy mashed potato. 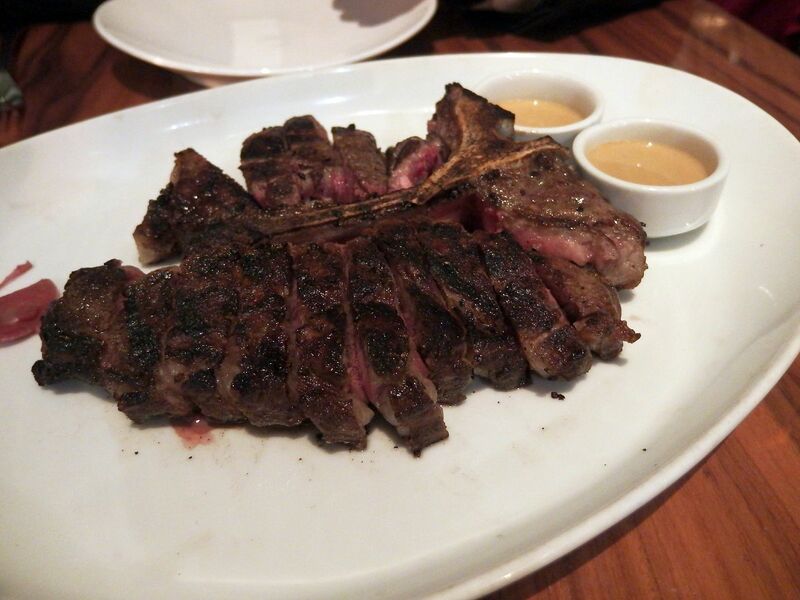 You can also choose toppings like foie gras, black truffle, lobster or crab to add to your steak but we went for the plain porterhouse. 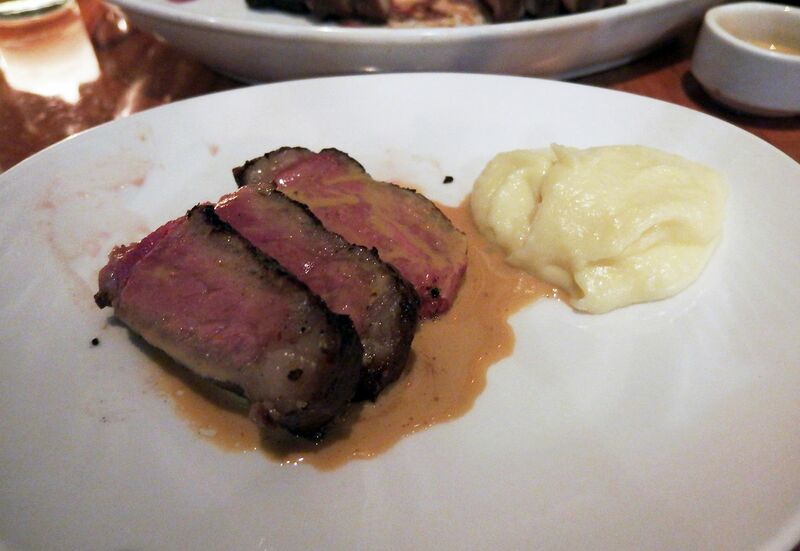 The steak was cooked just right and tasted perfect, it really was very filling and the creamy mash was lovely as was the sauce. Dessert time and my eyes were immediately drawn to the Birthday Cake, it was my birthday after all. The birthday cake is a dessert of almond torte, cookie dough ice-cream and vanilla rum butter cream it sounded delicious. 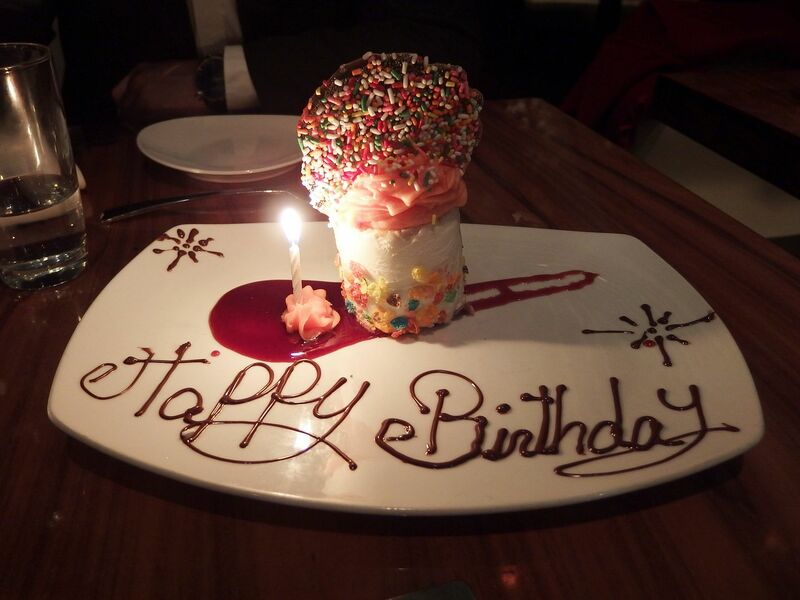 The waiter knew it was my birthday and had added a special candle to the dessert, it looked amazing and tasted dreamy too! After dinner we headed downtown in a yellow cab to Jimmy bar in Soho. 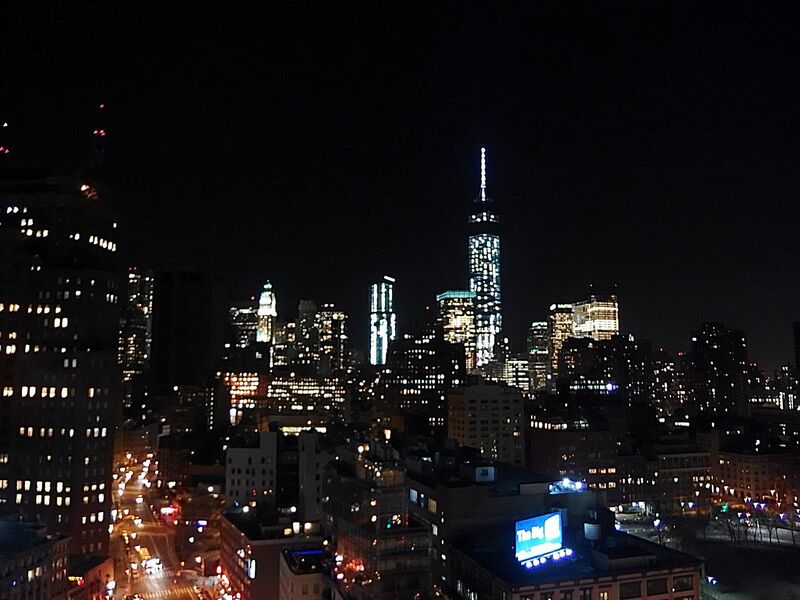 It had been recommended in a guide-book we bought and said it had some great rooftop views so I definitely wanted to check it out. The bar is located inside The James hotel at the very top. Thing is you don’t go through the hotel you go round the side through a rather random door where you are greeted by a girl inside the lift to take you up! Inside the bar has some comfy soft seating and views right around through the big glass windows. Outside there is a pool, yep a pool! 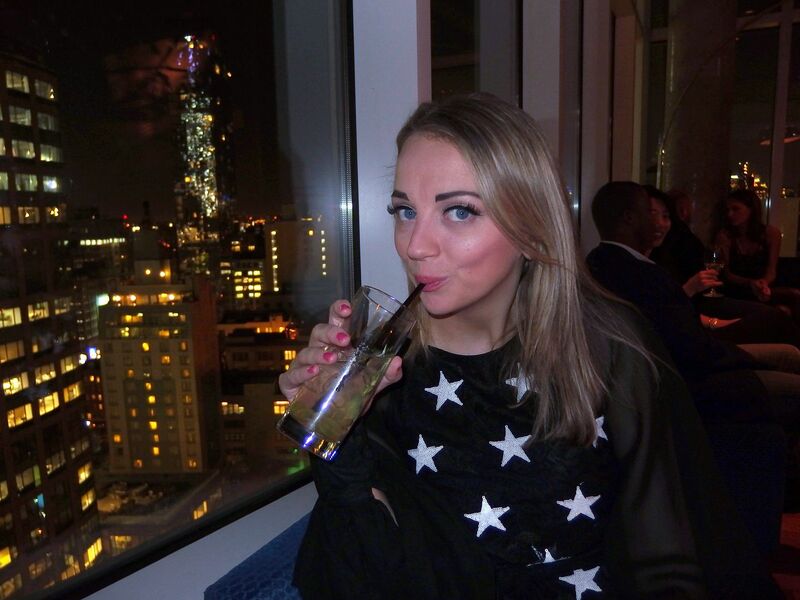 We had a few cocktails and then ventured outside for a look, it was great to view the city at night like this. I can imagine this bar being really amazing in summer! Then it was back to the hotel ready for another day of adventures.